I'm not sure when exactly it happened, but around here we seem to have turned into cereal connoisseurs. Gone are the days when we used to grab any old box off of the shelf - that has been replaced with my husband and I pondering something healthy and nutritious while Little Sister B refuses most anything and Big Sister E's taste buds are too refined for a 3-year-old (read: picky). 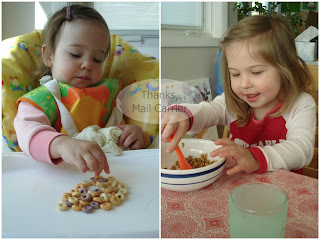 Combining all of our requirements narrows down our cereal options to a very short list, which makes for pretty boring breakfasts and snack times at our house. So, when I was given the opportunity to not only help to promote living green with Cascadian Farm but to sample a range of their delicious products, how could I say no? Dedicated to organic goodness since 1972, Cascadian Farm products are grown without the use of synthetic pesticides, chemical fertilizers or genetically engineered ingredients. With over 75 high-quality organic products in categories from cereals to frozen vegetables to fruit spreads, their range of items covers foods that the whole family will enjoy. Within moments of unpacking the box Cascadian Farm sent, Big Sister E and I had dug into the Dark Chocolate Almond Granola. The crunchy combination of oats and almonds with the small pieces of dark chocolate - yum! We ate this cereal dry and with milk and it was delicious each and every time. Later that day we were meeting friends for lunch so I packed a baggie of Fruitful O's to come along to try. As Little Sister B has gotten pickier and pickier as she has gotten older (she even turns her nose up at traditional O's cereals), I wasn't sure how Cascadian Farm would be received. However, it turned out I needn't have worried because both she and Big Sister E took one taste and the baggie was empty in no time. I managed to sneak a taste and found that they had a sweet, fruity taste that wasn't sugary or overpowering. Another yum! Later that day, Big Sister E and I shared one of the Chocolate Chip Chewy Granola Bars and I had to hold my sweet tooth back from finishing off the rest of the box. As we later found with the Dark Chocolate Almond Granola Bars, these are the perfect thing to have on hand for a snack or to fulfill my chocolate craving during the day without going overboard. Chewy and delicious! The next day, everyone was eager to try Cascadian Farm's Cinnamon Crunch and Oats and Honey Granola cereals. Neither left us disappointed with the taste and, as I was munching my Cinnamon Crunch, I went online and compared its nutrition facts to a similar cinnamon cereal on the market. Considering Cascadian Farm's version has one fourth of the amount of fat and sugars, I know that we're not returning to the other brand. Although Earth Day has passed, Cascadian Farm is still encouraging people to make a positive change for a healthier world. Last week I wrote about the collection of pledges that they have put together on Facebook and how, for each person that signs a pledge through May 31, Cascadian Farm will donate $1 to the Organic Farming Research Foundation. Isn't it time to do your part to initiate a positive change for healthier foods and a healthier earth? 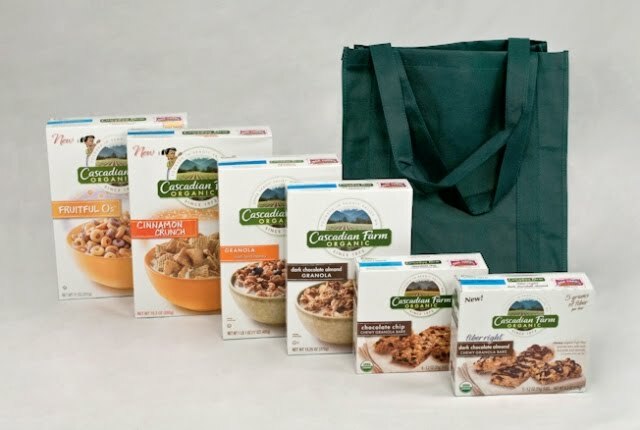 One lucky person will receive a Live Green Together prize package including a variety of Cascadian Farm cereals and granola bars and an eco-friendly grocery bag! Even if you don't win, you can sign up with Cascadian Farm and receive a $1 coupon to try their products yourself! To enter to win: Tell me what changes your family has made (or plans to make) in an effort to live greener. 1 Extra Entry (per method) if you follow Cascadian Farm on Twitter and/or become a fan (Like) on Facebook. One more entry if you sign one of their Earth Day pledges and tell me which one you chose. 3 Extra Entries if you blog about this giveaway linking back to Thanks, Mail Carrier and Cascadian Farm. Please leave an address where it can be found. Giveaway will end on May 20th at 11:59pm CST. Do me the favor of leaving an email address or making absolutely sure it is visible in your profile, I have to have a way to contact the winner. The winner will be chosen by random.org and announced here as well as emailed and will have 48 hours to contact me or respond to notification or a new winner will be chosen. This giveaway is open to U.S. residents only. A big thank you to MyBlogSpark and Cascadian Farm for providing information and a Live Green Together package for me as well as for one lucky giveaway winner. The opinions shared are my own and honest and if you really need to see more, click here to see how I roll. I bought a smaller car to save on gas!! My husband and I are trying to make an effort to only use re-usable bags for groceries. We have started a compost heap and everyone is biking much more and forgoing driving. I entered your Nourish Your Inner Goddess Yoplait Greek Yogurt giveaway! I entered your Kinesys sunscreen giveaway! I entered your FAB beauty giveaway! we have stopped using and buying paper plates. In an effort to live greener, my family recycles paper, plastic bottles and soda cans. We're trying little things here and there like trying to only do the laundry when we have a full load, trying more natural ways to kill weeds, and using cloth diapers instead of disposable. We are planting a veggie garden to help our effort to eat local! I unplug appliances when not in use. We turn lights off. The thermostat is always lower. We reuse and recycle, and I invested in a new bike, so I do many local errands now without driving a car. Made a pledge there to "Slow The Flow". We have stopped buying paper napkins, paper towels and bottled water. I entered the DownEast Basics giveaway. We are eatting more organically grown foods. I "like" Cascadian Farm on facebook. I've entered your PlaSmart giveaway. I've entered your Measure Up Bowl giveaway. I've entered your FAB giveaway. I've entered your CleanWave UV-C Sanitizing Wand giveaway. I've entered your Blender giveaway. I've entered your Kitchen Scale giveaway. I've entered your Inner Goddess giveaway. Also do some of our shopping at second hand stores and garage sales. We've joined a CSA and are happy we'll be getting a share of conscientiously grown local produce. We recycle glass, aluminum, plastic and paper. Our goal this year is to reduce the amount of waste we generate. We also have a veggie garden in our backyard that gets bigger every year. Nothing better than growing your own organic veggies. we grow our own veggies, ride bicycles when possible and have tried to eliminate all paper towels! I entered the down east basics giveaway! I entered the measure up bowl giveaway! I entered the oster blender giveaway! I entered the beso giveaway! I entered the eatsmart kitchen scale giveaway! I entered the princess couture designs giveaway! to live greener we plant a seasonal garden! 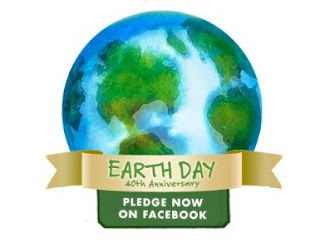 i pledged to on FB to support organic farming. the food planner pledge.